In Europe, architecture is static and centered around the piazza, the central social gathering places developed over time. But America, architect Dan Scully contends, is a fast and restless place carved out of wilderness. In America, our architecture is about movement where every building is an object in motion, like a vehicle on a highway. The Road Goes Through will elaborate on Scully’s theory of a dynamic architecture and how it relates to the surrounding landscape and historical context. In this talk, he will also discuss how this idea of fluidity and movement play out in some of his most challenging projects. Scully’s practice, active for over 30 years, has made its imprint on the Monadnock Region with impressive home designs as well as public and commercial spaces like the Monadnock Co-op Market and new ice arena in Keene and the Piedra Fina Restaurant in Marlborough. 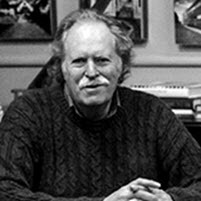 Among numerous awards, the American Association of Architects New Hampshire Chapter honored Scully with its Clinton Sherr Award for Architectural Excellence in 2010. By Design is a new program series at the Monadnock Center presented in collaboration with At Home Magazine. In November, By Design will feature a talk by Phil Zea, President of Historic Deerfield on New Hampshire’s historic Dunlap cabinet makers.